We all have those days when we feel as big as a house. On those days, there is nothing left to do but be good to yourself and know that tomorrow is another day. "Feeling Fat? 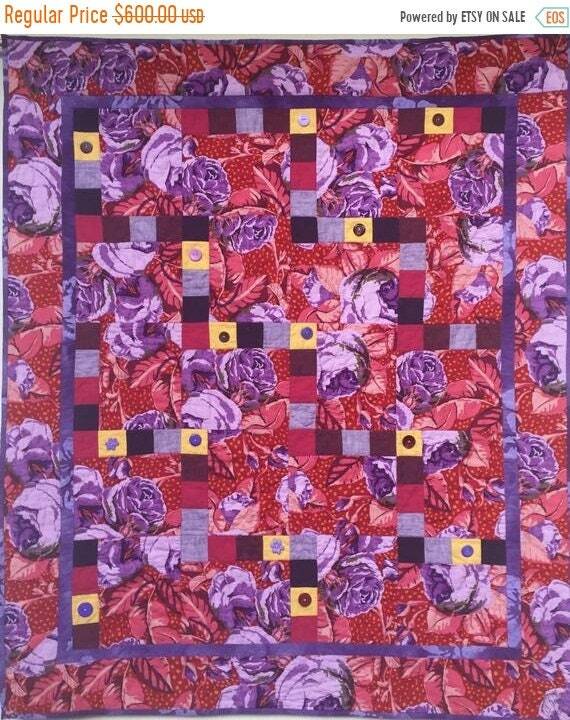 Give Yourself Big Purple Flowers" is an art quilt that measures 39 x 46 inches. 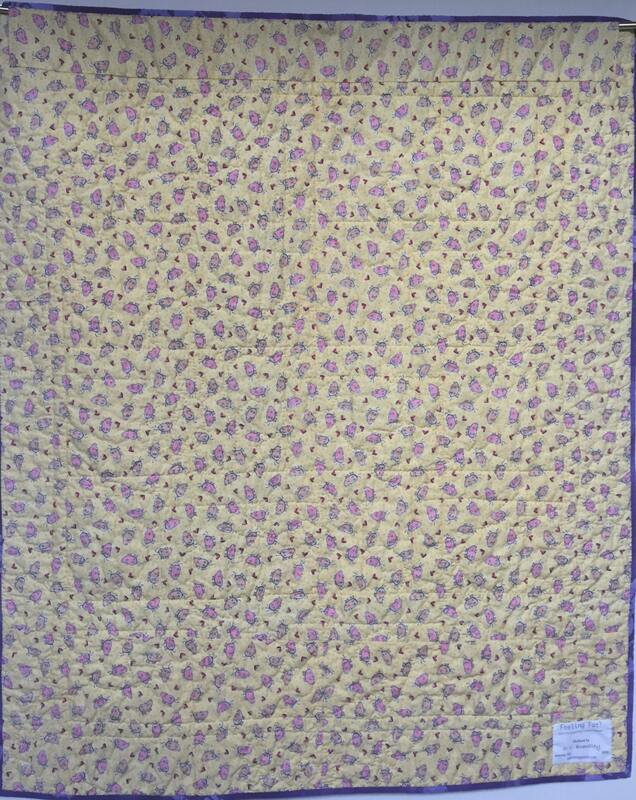 The theme is carried out on the back of the quilt with fabric featuring cute little pigs and hearts on a yellow background. "Feeling Fat? 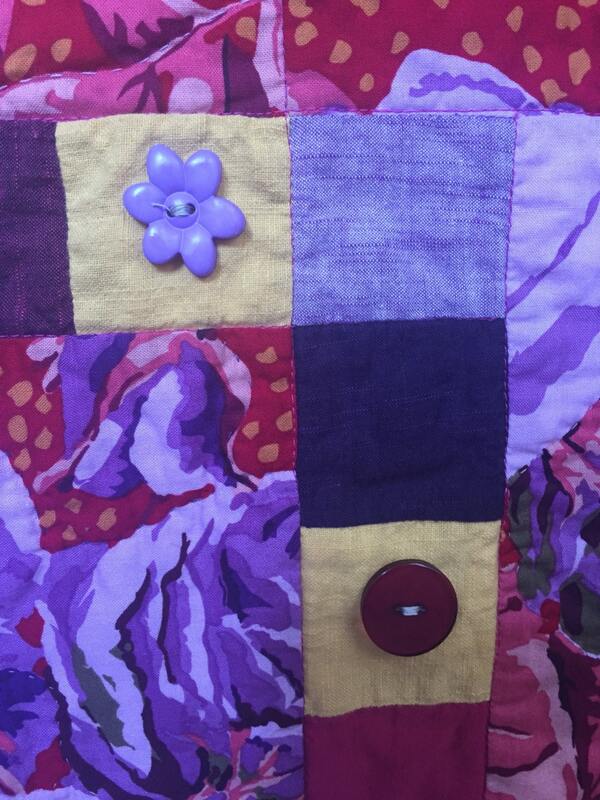 Give Yourself Big Purple Flowers" is embellished with buttons but mostly it is a quilt of big purple flowers. 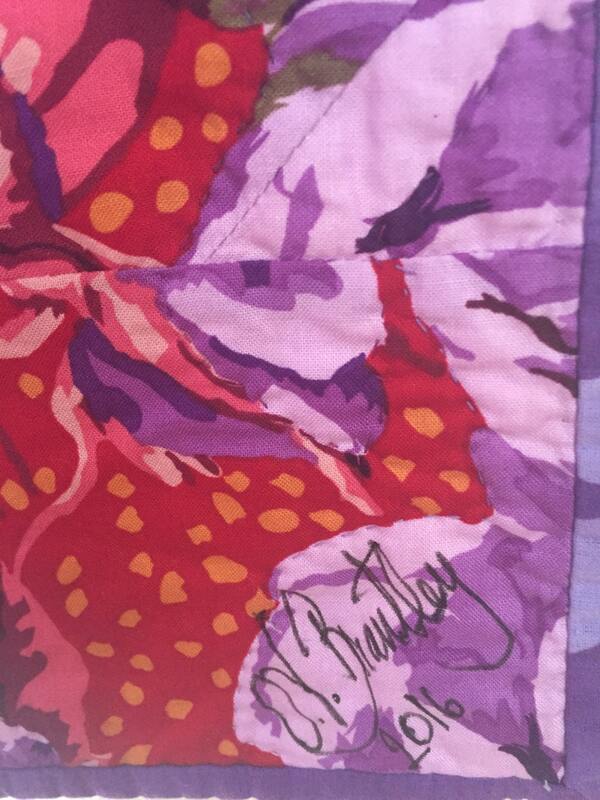 The flowers are outlined with hand quilting although you cannot see it in the picture. 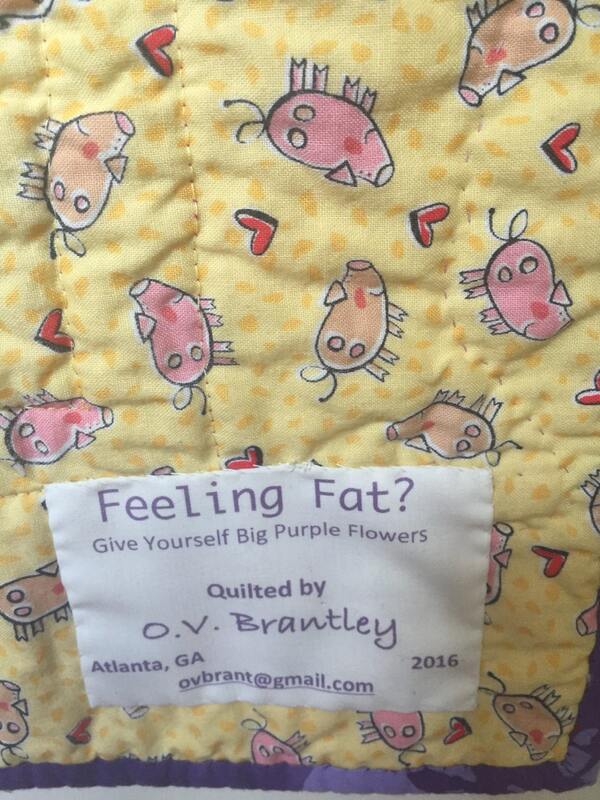 There is a label on the back that documents the quilt and a hanging sleeve for easy display. I signed it on the front.